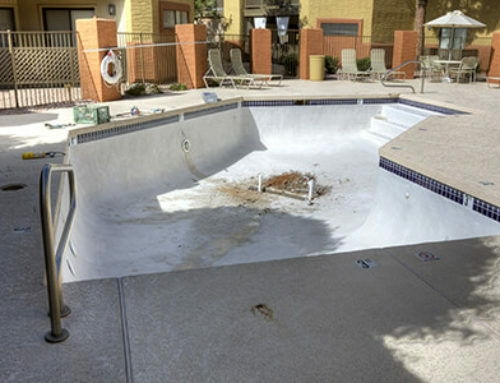 Is your pool feeling a little bit sad these days? Do you need something to make it feel a bit more exciting? If so, no worries! There are plenty of simple ways you can upgrade your pool. And the best part about it, you don’t have to break the bank to do it. Your pool is most likely a place where friends and family members congregate regularly, so you want it looking its best. To help with that, here are five tips for the ultimate pool makeover. You don’t have to replace your entire pool to make it feel like new again. Instead, update its surroundings. There are countless pool deck options, so do a little research and find what styles you like. You don’t even have to spend a ton. Stamped concrete can look like many fancier options without costing you an arm and a leg. While you’re at it, add some fun furniture, and maybe a fire pit for even more enjoyment. 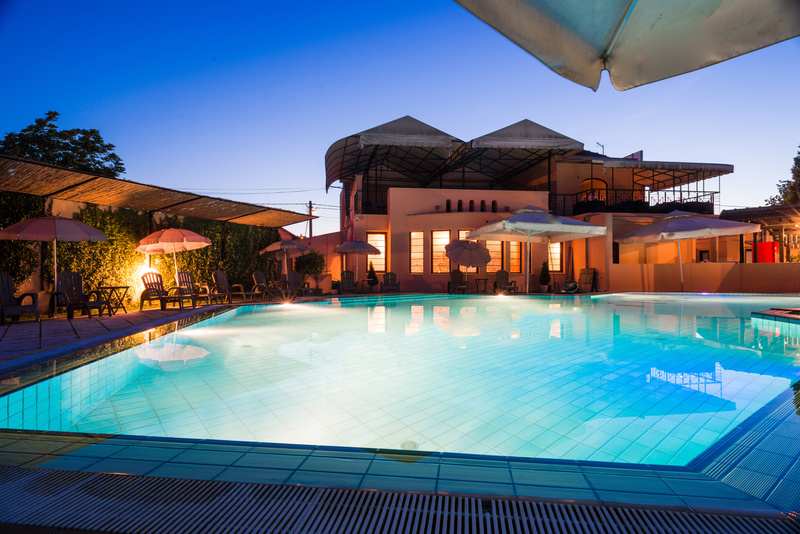 Do you currently have a chlorine pool? Trade the chlorine for salt water. You’ll revamp your pool by changing the type of water that’s in it. Plus, you may even feel like you’re at the beach. Is your pool area short on shade? Provide more shade and give your pool a fancier feel by adding some cover. A gazebo or screened house will add a fun visual aspect, and it will also keep you shielded from the sun. No more worrying about staying out too long on super sunny days! If you aren’t worried about sun cover so much, you can still add a partial cover for the visual aspect. Try building a pergola over your pool and mix in some windy vine-like plants to dress it up. 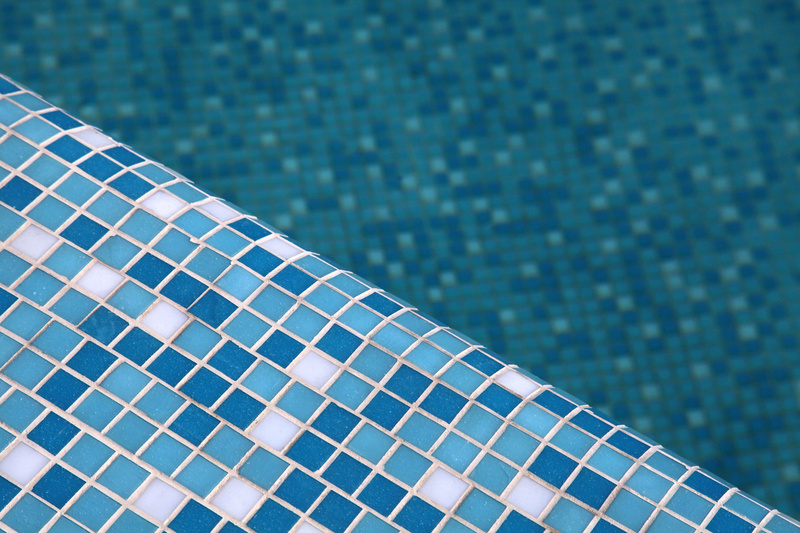 Is your pool surrounded with tile? If so, change out the tile for something new! It’s easy but will make a huge difference. 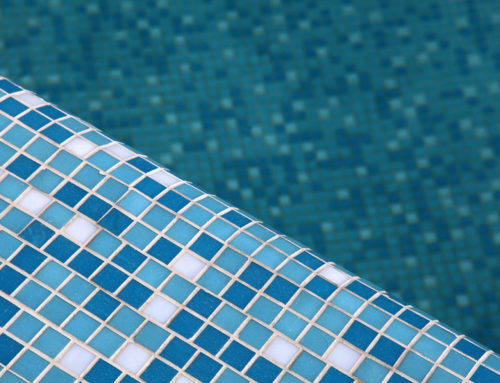 Changing the tile that runs around your pool will give it a complete facelift. 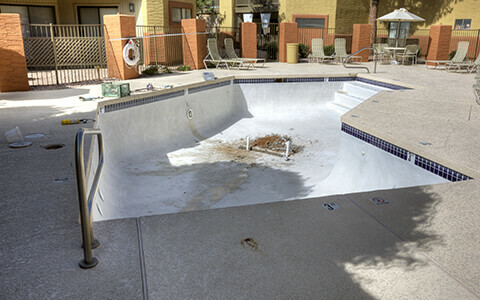 You’ll feel like you have an entirely different pool, for much less money than installing a new one. If your budget is on the larger end, consider changing the layout of your pool. This will take more time and cash than our other ideas, but it will give your yard new life. The layout of your pool can determine the entire feel of your yard. Go with a shape that compliments the pool’s surroundings. Your pool is likely one of the highlights of your yard, so don’t be afraid to go for an upgrade. A pool makeover may be what your yard needs. Whether you resurface the pool or add some fun accessories, changing things up will make your pool feel like new. We’d love to help with your pool remodel. Contact us today to get started!